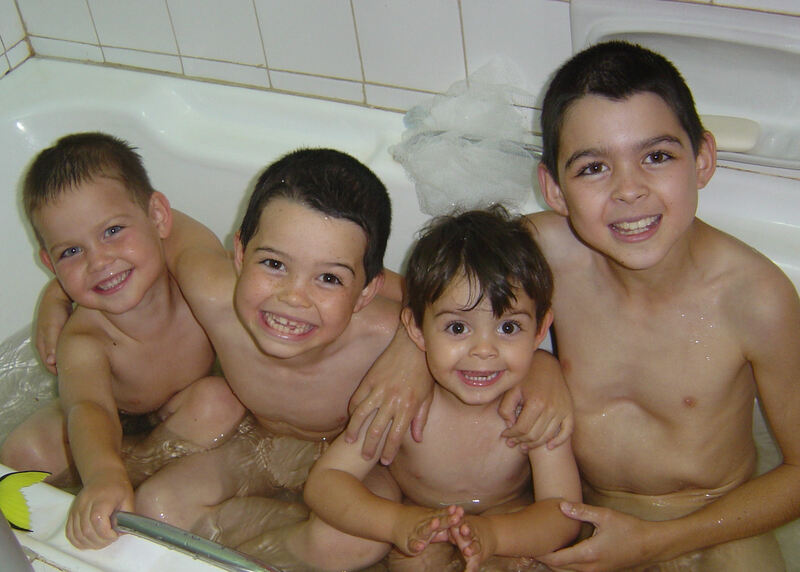 This blog started by emails to my family in the U.S. Ireland, South Africa and Zimbabwe, so they would know what was going on in our lives, as we emigrated from Zimbabwe to South Africa. 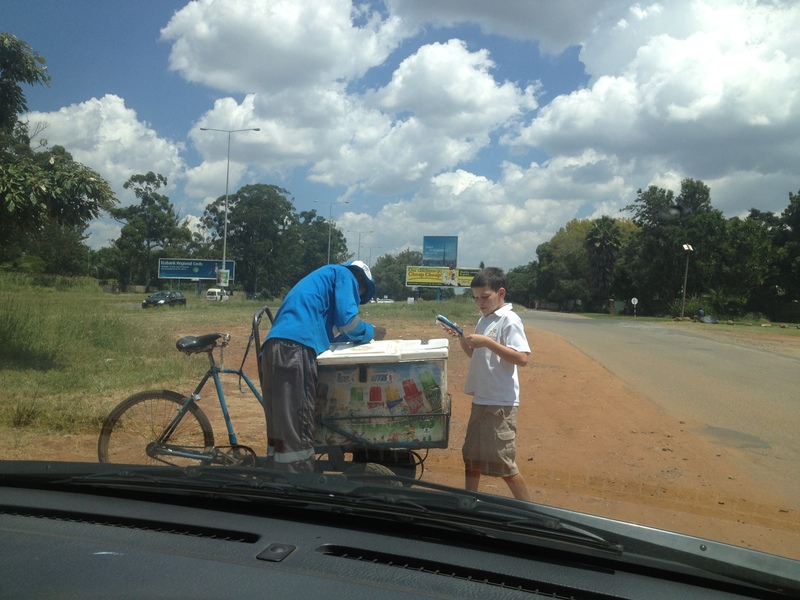 So this is 2013, in Zimbabwe, where both Heath and I and all our children were born, finally considering leaving. Not the first consideration, but the one we eventually followed through on. 26th December 2013. Should We Stay or Should We Go? 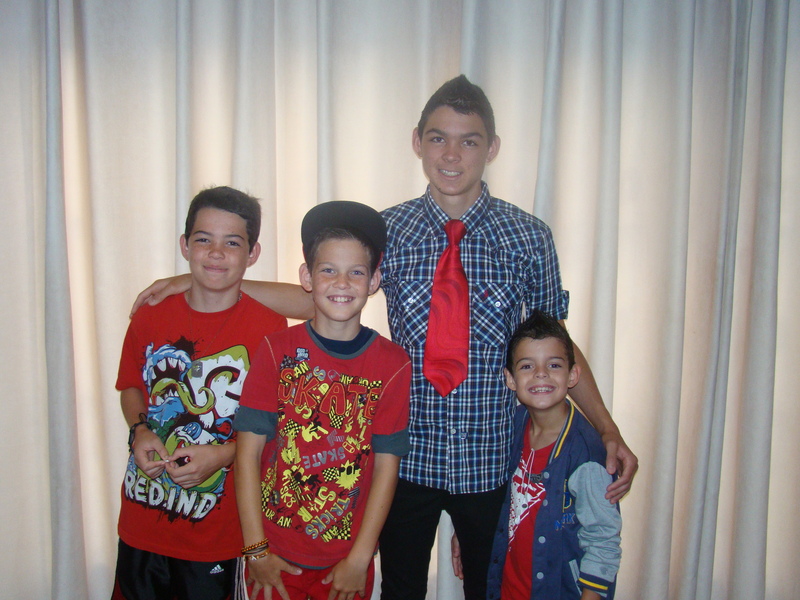 1 Feb 2014- Update #1. Time to Sell. So our main focus now is selling the house. Cars will be relatively easy to sell when we’re ready, and all the other bits and pieces that accumulate as a family grows will be sold off bit by bit. We are not taking anything with us, besides the children. We have decided to sell everything we own, to make this move as simple as possible. Most of what we have can be replaced in SA, and the hassle of transporting an enormous container through the border is happily avoided. Zimbo’s gotta do what Zimbo’s gotta do. Heath has many opportunities to pursue job-wise. Not hospitality. Here endeth the family-sacrificing-hours and low pay. Property development is definitely one of the options as it is something Heath loves and has proved really good at in the 4 years that he’s done it here. Boys are crazy excited about the opportunities. They are a little sad to leave behind some friends, but we are praying for good relationships for them all in Cape Town. And Aiden has finally got his head around packing up all his precious lego creations. Hallelujah! 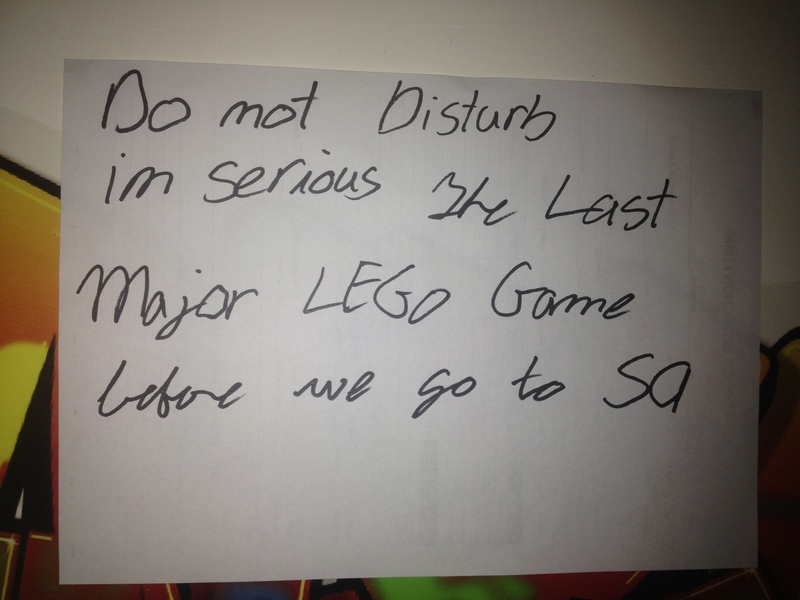 Aiden’s note scrawled on his bedroom door. Keep us in your prayers as we wrap up our duties with the children’s ministry, and pack up our house. We have no anxiety or worries right now, and are full of peace and excitement. Monday 10th March 2014 Last week, 5 people came to view the house, but no offers yet. Finally, we said to God, okay Lord, please heeearrrr us; we’re running out of time, could you just get it sold by this weekend, pleeeease??? Glory be, we had about 4 people lined up to view it on Friday. Not ONE of them came. We bit our tongues all weekend, and despite our feelings and desperation, we muttered our faith and trust as best we could, and cried into our pillows so God couldn’t hear us. On Monday 10th, we got one call from a Portuguese lady, who came with her daughter to view the house. One walk through, and she said, I like to buy the house. 9th April 2014. Update #2- Last Day at School in Zim. Ever. Well, we had the last day (ever) at the boys’ school today and it was a bittersweet one- lots of goodbyes, but also with the hype of holidays starting and the chaos of reports, teachers’ gifts, piles of books and the signing of shirts….yep, the tradition when leaving a school is to get all your buddies/teachers to sign your school shirt so you can keep it as a memento. Crazy mess, but such fun. We had milkshakes and lemon meringue pie/waffles to celebrate afterwards. Yes, I do feel sick and yes, the children are bouncing off the walls. Last visit to the ice cream man, a regular Friday after-school ritual. Yesterday evening, Joshua won a Trophy at Prizegiving: the Logos cup, awarded for godly character, leadership traits, and “loves the Word of God and exhibits the practical outworking in character.” So that was an awesome way for him to end off his Grade 11 year. We are rattling around in the house a bit- most furniture is only being collected by buyers towards end of April, so we still sit in chairs, but weird things like carpets are gone, and bookcases…and duh, holidays have started, but toys, legos (! yes, that was a mission) and books have actually all been packed into our family trailer and GONE already to Jo’burg! Friends of ours took a trailer load for us, dropped it off at a friend’s house in Jo’burg, then brought trailer back for 2nd refill. Yay. This alleviates a LOT of pressure in this OCD perfectionist brain of mine, which was having to try and grapple with leaving every worldly good behind…these two trailers loads of stuff (well, photos and legos, really) have been such an answer to prayer, and made this move so much easier. Anyway, boys will have to go into garden, find some sticks, stones and imagination to get them through the holidays! This is how to solve the arguments about who gets to bath first when they’re freezing after swimming. Throw ’em all in together to thaw. The Original. 6 years prior. The usual processes of finalising a house sale can take up to 3 weeks, but in faith we’ll be done sooner, and be able to leave before the end of April. Until then, we’re killing time, packing the second trailer load. I have been in touch with 2 families in CT- referred by a friend; and they have been amazing in answering all my questions…we are feeling so much more clear and calm about the choices regarding suburbs, housing, schools and different weather! I can cope with cold, but if we can avoid extra rain behind the mountains….awesome! So we are definitely weighing up the pros and cons of each area! Spiritually, emotionally, we are in a very good place, excited (& terrified) to be completely dependant and trusting in God for everything that’s about to happen. 22nd April 2014. Update #3- Sometimes it Hurts. There have been times in the past two months, where we’ve been dealing with crazy stuff. Much has happened with our leaving the church- not being released properly, trying to seek peace through it all, and such judgement from third, fourth and fifth parties (who ought to be drawn and quartered for the hurt they’ve caused)….well, it’s rocked our world a bit; I just didn’t know what to do with myself. The hurt was somedays so deep there wasn’t even tears. But what got us through was just sitting in the presence of God- not even praying, just being. Just knowing He knows. The promise is that He will draw near to us IF we draw near to Him. We have loved listening to Bethel Music’s The Loft Sessions and also their Tides album. Wow, such intimate worship songs, that really draw you into His presence despite the emptiness. They have been a real sanity and spirit saver on a great many days. Right now we are waiting. I had a hard day yesterday, as we really are ready to go but WAITING for everything house-sale-wise to go through, and it’s frustrating. We still have furniture and stuff, although it’s all sold, but no carpets, pictures, creature comforts at all. Minimalist is definitely the way to go. Less dusting! (MUST remember this note to self when reaching Mr. Price Home in SA, and self control goes out the window.) But we believe God will use the time here for our good- that school places will be ready, etc. when we get there. It’s gonna be cold when we get there, so prepare yourself for lots of moaning. Yesterday morning, we sold all of our remaining ‘stuff’- pictures, cushions, books, dvd’s, kitchen stuff….including all my glass pyrex dishes. And we sold our last two pieces of furniture, so were very excited. After successful sale, we packed our last trailer load, to be taken to SA this week by Gray family…again! So everything that is not going in our suitcases has to go in the trailer! A little overwhelming, and we have a few boxes left over, but successfully packed a trailer like only a Zimbabwean can. I’m talking supernatural, people. That night, I begin to make dinner (all planned to the tee so that I can use up all remaining groceries) and call Heath, “Houston! I have no quiche dishes! !” So I use an old rectangular one that was too nasty to sell. Next, I begin to make the dough…and realise I’ve packed all my recipes! “Houston, what the heck…?” So I have to remember it from memory, which, as anyone who’s had children will know, is non-existent. Done, it looks like dough. Time to roll. “Houston! I have no rolling pin.” Tin from pantry works well. Done. Quiche in oven- smells like quiche, and Heath says it’s the best quiche he’s ever had (I think he was very hungry) and he prefers rectangular pieces anyway. Salad served in nasty plastic bowl. Ha ha. So that’s how it feels going to the next level of leaving a country. The 1st of May is a public holiday and has slowed things down a bit, but all our financial ducks are finally in a row. We will move to Gretchen (Heath’s sister) and Tarik’s cottage this Sunday and be with them (in theory) for a week, whilst all our furniture is collected by various people. It’ll be some valuable time with family and cousins Rubi and Zak before we leave. It was a huge relief today to send our trailer off. The Grays also graciously filled their boot with 2 boxes and a huge flatpack bag of excess clothing that couldn’t fit in trailer, so we are feeling very humbled, blessed and relieved! Now to find suitcases…we have 3, and so need 3 more, but are struggling to get our heads around spending US$200 per suitcase. Eek. We shall find some cheaper ones, or resort to taxi bags. Kidding. I think. Cleaning out pantry today, I stumble across things I almost cannot bear to waste- typical Zimbabwean hoarding deeply ingrained- so we’ve tried to use up what we can. Found a half bottle of Amarula liqueur (don’t judge, it was a gift) so had very yummy coffee this afternoon. Also a tin of condensed milk will have to be turned into caramel as a treat for my kids which they’ve never actually had before, although I can seem to remember many fights growing up with my brothers over who was using a tablespoon instead of a teaspoon, or at least was piling it 4 inches high (usually Brendan). Yuuu-um. It’s a wonder I have any teeth left actually. Boys have coped so well with boredom and waiting. No toys has led to creativity…the other day Luke and Ethan tied each others’ hands/feet up with shoelaces and then wrestled. How we avoided a trauma centre visit is miraculous. Heath made a quick trip to Jo’burg last Thursday to see Oupa Stewart, who was critically ill. When Oupa had said he was ‘waiting for Heath,’ we decided Heath should make the trip, as we were worried he might not last until we left here. 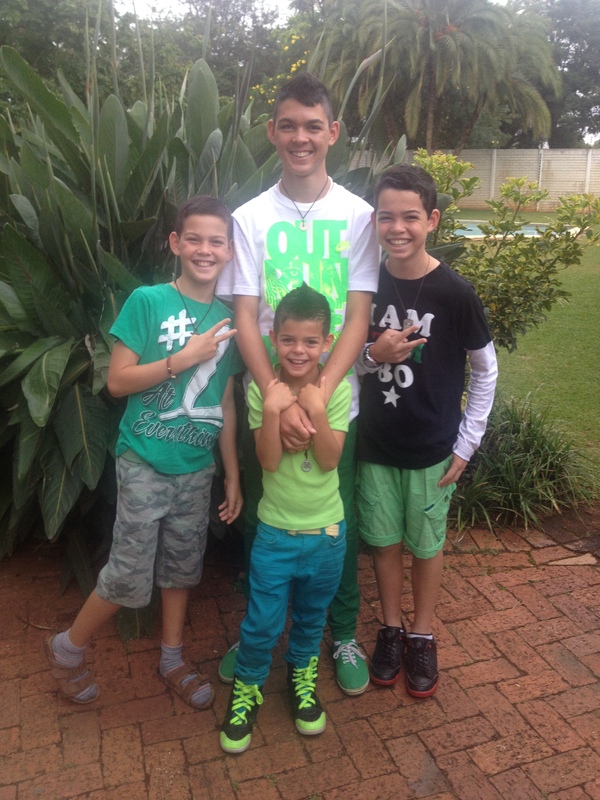 It was a good trip, Heath was glad he went, and he got to see his Dad too, who came from Durban, so that was great. “Oupa”Mattie Stewart. We all saw him again when we were in Jo’burg for 10 days before driving down to Cape town. 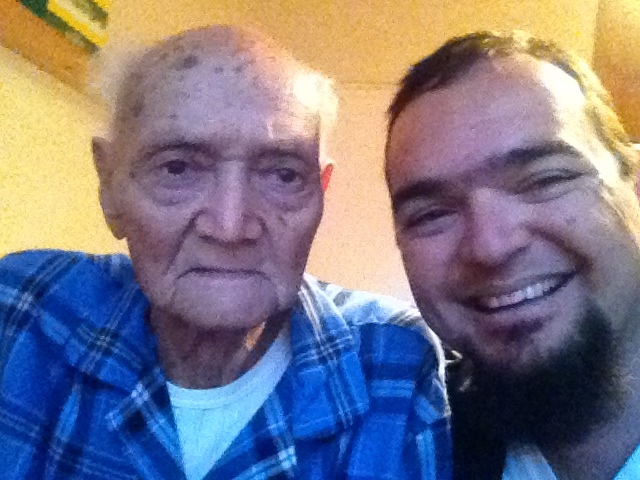 Oupa Stewart finally passed away on July 11th 2014, at the age of 89. Next story Update #5. Still here.